Enjoy UHD content with enhanced contrast with the VIZIO M-Series 65"-Class HDR UHD SmartCast XLED Plus Home Theater Display. Its 32 active LED zones will dim in places where the image is supposed to appear dark to provide the effect of an enhanced contrast ratio. The 120 Hz effective refresh rate combined with Clear Action 360 technology will help smooth out the blur commonly associated with fast-moving objects. The M-series has Chromecast built-in, allowing you to cast apps directly from your compatible smart device to the display via Wi-Fi. Its four HDMI ports provide connections to HD and UHD devices such as Blu-ray players, cable/satellite boxes, gaming systems, and more. It also features a USB port for connecting a portable drive. You can use your smartphone as a remote with the SmartCast Mobile app. Additional Features Spatial Scaling Engine for UHD upscaling VM50 Engine Picture Processor 8-core display processor Xtreme Black Engine Plus Bluetooth 4.1 LE HDMI port 1 supports HDMI v2.0a; ports 2 through 4 support v1.4 HDCP version 2.2 HDMI 1: 600 MHz pixel clock rate; 2160p @ 60 fps, 4:4:4, 8-bit / 2160p @ 60 fps, 4:2:2, 12-bit / 2160p @ 60 fps, 4:2:0, 12-bit HDMI 2 through 4: 340 MHz pixel clock rate; 2160 @ 60 fps, 4:2:0, 8-bit Display Screen Size (Diagonal) 65" Inch Panel Type LED LCD Aspect Ratio 16:9 Pixel Resolution 3840 x 2160 HDR Compatibility HDR10, Dolby Vision Dynamic Contrast Ratio 20,000,000:1 Display Colors 1.07 Billion Viewing Angle (H x V) 178° H x 178° V Connectivity Input Ports 3 x HDMI – Audio, Video (Bottom) 1 x HDMI – Audio, Video (Side) 1 x RCA Component – Video (Side) 1 x RCA Stereo (L/R) – Audio (Side) Output Ports 1 x TOSLINK Optical – Audio (Bottom) 1 x RCA Stereo (L/R) – Audio (Bottom) 1 x USB (Version Unspecified) – Audio, Photo, Video (Side) 1x Ethernet Speaker Sound Stereo Power 30 W Wi-Fi Built-in Menu Languages English French Spanish Remote Control Wall Mounting 400 x 400 mm Power Consumption Operational: 165.0 W Standby: < 0.5 W Dimensions (W x H x D) 57.6 x 35.8 x 10.9" / 146.3 x 90.9 x 27.7 cm ( With Stand ) 57.6 x 33.1 x 2.5" / 146.3 x 84.1 x 6.3 cm ( Without Stand ) Weight 57.32 lbs / 26.00 kg With stand 55.33 lbs / 25.10 kg Without stand Package Weight 70.0 lb Box Dimensions (LxWxH) 67.0 x 40.0 x 6.0"
Enjoy UHD content with enhanced contrast with the VIZIO E-Series 70"-Class 4K SmartCast LED Home Theater Display. Its 12 active LED zones will dim in places where the image is supposed to appear dark to provide the effect of an enhanced contrast ratio. The 180 Hz Clear Action rate will help smooth out the blur associated with fast-moving objects. The E-Series has SmartCast built-in, allowing you to cast apps directly from your compatible smart device to the display via Wi-Fi. 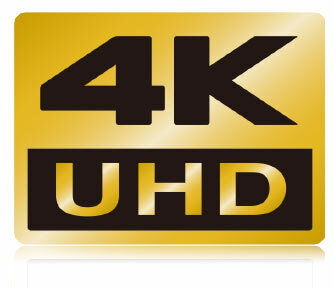 Its four HDMI ports provide connection to HD and UHD devices such as Blu-ray players, cable/satellite boxes, gaming systems, and more. It also features a USB port for connecting a portable drive. You can use your smartphone as a remote with the SmartCast app. Display Screen Size (Diagonal) 69.5" INCH Panel Type LED LCD Aspect Ratio 16:9 Pixel Resolution 3840 x 2160 Dynamic Contrast Ratio 5,000,000:1 Refresh Rate Not specified by manufacturer Dot Pitch 0.4008 x 0.4008 mm Viewing Angle (H x V) 176° H x 176° V Input Ports 3 x HDMI – Audio, Video (Bottom) 1 x HDMI – Audio, Video (Side) 1 x RCA Component – Video (Side) Output Ports 1 x TOSLINK Optical – Audio (Bottom) 1 x RCA Stereo (L/R) – Audio (Bottom) 1 x USB (Version Unspecified) – Audio, Photo, Video (Side) 1x Ethernet Sound Stereo Power 20 W Dolby Digital Wi-Fi Built-in Menu Languages English French Spanish Wall Mounting 400 x 400 mm Power Requirements 120 VAC, 60 Hz Power Consumption Operational: 190.0 W Standby: < 0.5 W Dimensions (W x H x D) 61.8 x 38.5 x 13.0" / 157.0 x 97.8 x 33.0 cm With stand 61.8 x 35.7 x 2.9" / 157.0 x 90.7 x 7.4 cm Without stand Weight 57.98 lb / 26.30 kg With stand 56.88 lb / 25.80 kg Without stand Box Weight 58.0 lb Box Dimensions (LxWxH) 65.5 x 40.25 x 7.75"